With sumptuous style and aura of timeless elegance, the Hotel Phoenicia is the perfect location in Malta for couples looking to indulge in a luxury wedding and honeymoon. With its year round natural green lawn and surrounding blooms this is a dream venue. The garden gazebo overlooks the Bastion Pool with it's breathtaking views of Marsamxett harbour and Valletta’s medieval fortified walls. With sumptuous style and aura of timeless elegance, the Hotel Phoenicia is the perfect location in Malta for couples looking to indulge in a luxury wedding and honeymoon. With its year round natural green lawn and surrounding blooms this is a dream venue. The garden gazebo overlooks the Bastion Pool with it's breathtaking views of Marsamxett harbour and Valletta’s medieval fortified walls. 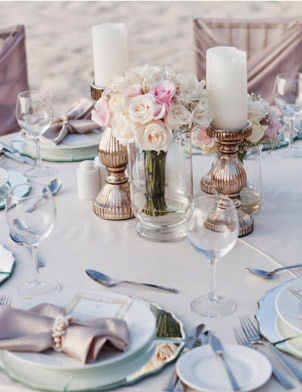 And then, after the ceremony, enjoy cocktails and a gourmet meal on the terrace overlooking the sea - a magical setting. The Hotel Phoenicia, the first luxury hotel in Malta is situated in 7.5 acres of mature gardens at the entrance to Valletta. The hotel commands glorious views over the surrounding areas and is within walking distance of the Island’s retail, commercial and financial centres and from the bustling restaurants and cafes in the city. The Phoenicia’s architectural beauty is classed as one of the sights of Malta along with such buildings rich in history as St. John’s Co-Cathedral, the Grand Masters Palace and those of the Auberges which still stand today. Distance from Airport is 5 Miles. A luxury 5 star venue. A private garden gazebo, ideal for an outdoor wedding for up to 50 people. The Green Lounge is an elegant indoor room for your civil ceremony. Ballroom available for larger weddings. Stunning outdoor terrace for wedding reception celebrations. This package is designed to cover all of your wedding requirements including your wedding ceremony, reception, all the trimmings plus a professional service throughout the lead up to your happy day.